Atatus is a comprehensive application performance management (APM) suite for Node.js applications. Atatus Node.js APM gives you the deeper visibility into the every web transactions happened in your Node.js apps. With Atatus, you can identify the slowest web transactions and see where your web requests are spending time whether it is in the database, remote services or middlewares. 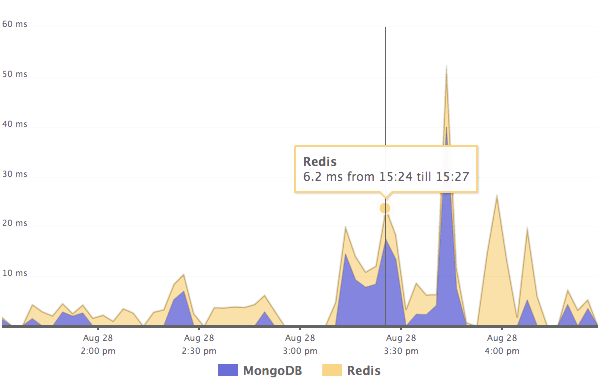 Atatus makes Node.js monitoring simpler and easier. 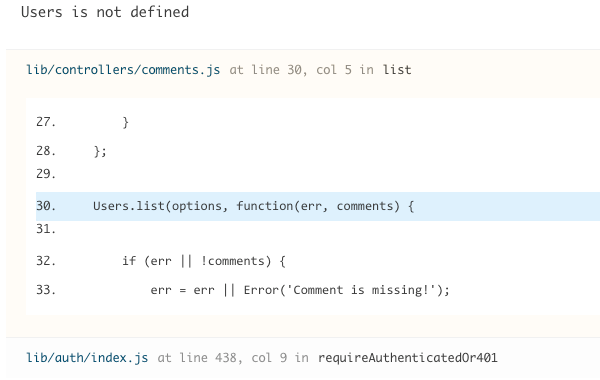 Node.js instrumentation with Atatus requires just two lines of code in your Node.js apps. It takes less than a minute to integrate. 2.Start atatus with the API Key that you can copy from your Atatus Node.js project. You can see full list of advanced configuration in the documentation. Deeper visibility into the web requests: Understand how much time does it take to run each function in a production environment, not just locally. Monitor Database queries: Knowing the most important database queries of your application is essential to have a fast, stable production system. 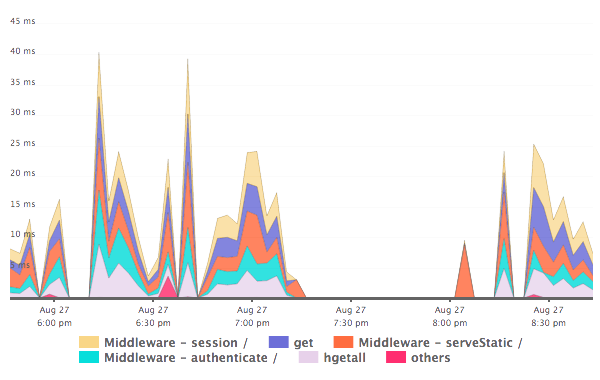 MicroServices performances: Monitor network connections and lower delays in the communication between your microservices. 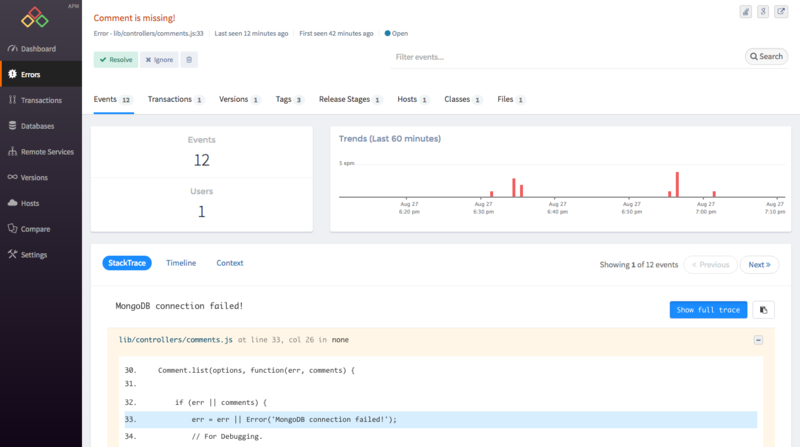 Debug Node.js Errors quickly: Track productions errors on your apps, collect detailed diagnostic information to debug and fix before it is affecting most of your customers. Real-time alerting: For obvious reasons, if anything goes down, you will get notified immediately to the tools that your team love. Atatus Node.js APM can help you to get deeper visibility of your transaction outliers and drill down to find out the slowest segments that are slowing down your app. You can troubleshoot performance issues using histogram and percentiles along with error rate. 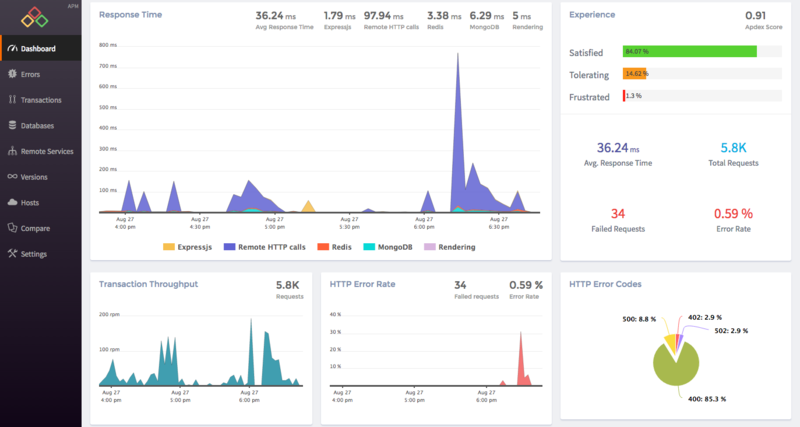 Atatus keeps a watchful eye on failed transactions and presents you with time taken and volume of failed transactions, so your team can improve user acquisition and retention by pro-actively identifying, troubleshooting, and resolving it. Atatus Node.js APM provides an overview of the most time consuming database queries such as MongoDB, Redis and Memcache queries and break them down by high throughput transactions that gets slowed down by these queries. No matter how complex your application is, you’ll be able to get a look at your database performance in our slick dashboard. Atatus helps you test theories and answer questions related to application versions, tags, hosts and transactions. 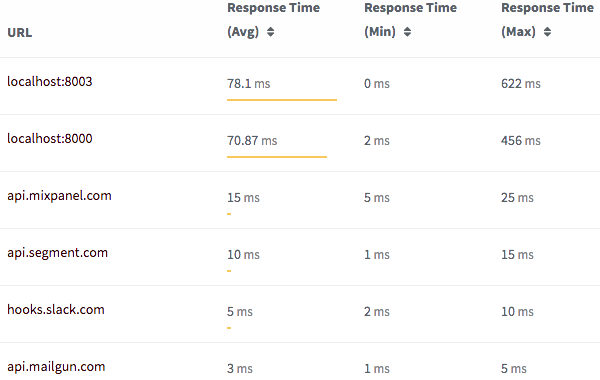 Atatus Node.js APM can help you to see inside the external network calls that your server app makes and track performance details of each call including percentage of time consumed, average, minimum and maximum response time and calls per minute. You can quickly understand about the various remote services that are part of your app and the mean value, with the most time consumed and the least time consumed breakdown. Atatus allows you to debug production errors without digging through logfiles, by recreating stack traces. This tool will save you a tremendous amount of time spent on error detection and lets you to do what you love: coding. You will be notified as soon as new Node.js errors and performance issues arise, preferably before your customers start to complain. So your DevOps team won’t miss anything important. We supports most popular integrations: Slack, VictorOps, PagerDuty, Campfire, Datadog, Flowdock, HipChat, OpsGenie, Asana, and Webhook. If you build innovative mobile and web applications with Node.js platform in your everyday business, then Atatus Node.js application monitoring is the right service for you. You can easily get information about the health of your Node.js server and be able to determine in seconds the cause of performance issues. Monitor and get alerted to troubles before they affect your customers! Whether your app is in a dedicated data center, a public cloud, or a hybrid cloud, Atatus APM works just the same. Easily see the top five web transactions, their average response times and throughput, with links to transaction and error traces. Try Atatus Node.js Monitoring with free 14 day trial – no credit card required. If you have any questions, we’d love to hear from you.